Calamansi, a native citrus plant cultivated throughout the Philippines, is an important crop and an outstanding ornamental plant. The tree, which is often trained as a bonsai, blooms all year-round, thus filling the air with the aroma of citrus blossom. Other common names of calamansi in the Philippines are: kalamondin, kalamunding, kalamansi, limonsito and agidulce. The calamansi tree has upright branches with thorns, and can grow up to 10 feet high. The calamansi fruit is about 1 3/4 inch in diameter, dark green when unripe and yellow orange when ripe, with loose skin, segmented contents and the pulp is very acidic. It is said that calamansi is an acid citrus, a group that includes lemons and limes. This is because the flesh is orange, juicy and acidic and with a fine lime-orange flavor. One bite of this fruit can pucker your mouth. 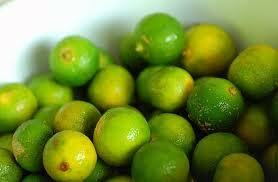 Calamansi fruit, when ripe, is very sour when first tasted but subsequent tasted fruits can make your mouth sweet. If the fruit is picked too soon, calamansi is bitter. The many uses of calamansi make this fruit a wonder fruit. Calamansi halves or quarters may be squeezed on iced tea, seafoods and meat, to enhance iron absorption. It can also be preserved whole in sugar syrup or made into sweet pickles or marmalade. The calamansi juice is primarily valued for making acid beverages. It is often incorporated like lime or lemon juice to make gelatin salads and custard pie. Calamansi juice is also used as a meat tenderizer and adds flavor to the dishes. According to the Nutritional Guidelines for Filipinos 2000 developed by the Technical Working Group headed by the Food and Nutrition Research Institute of the Department of Science and Technology (FNRI-DOST), one should consume two servings of fruit daily. Said serving ranges from 45 to 300 grams, depending on the size and variety of fruit, one of which is a vitamin C-rich food . Thirty-four medium sized pieces of calamansi are needed to meet the daily requirement of vitamin C.